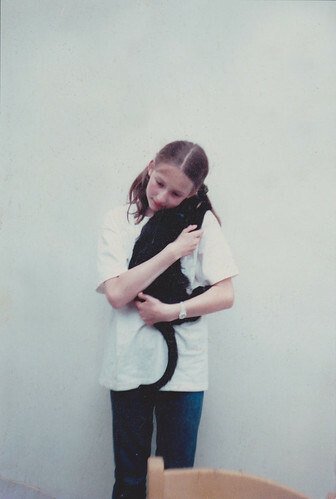 Left: Me & Fig, 1999. 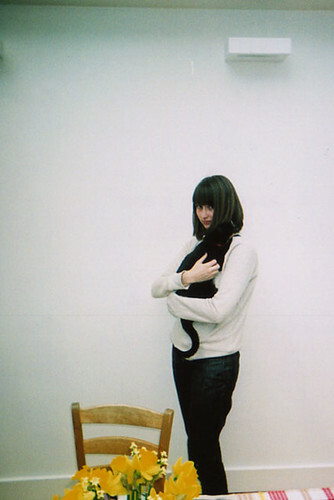 Right: Me & Fig, 2010. The world lost a good cat this week. My long time friend. I don't mean to be maudlin but really, this guy was a big deal. I chose him - the runt of his litter - when I was ten; he was hilarious and eccentric; he came with me to university; I left him in London in my parents' capable hands when I came to New York a year and a half ago. 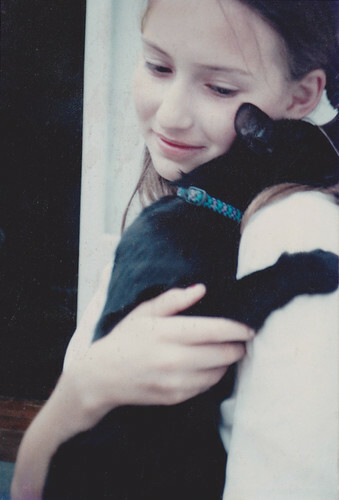 He developed the habit of resting his head on my shoulder as a kitten and it remained his favourite way to be held for his entire life. 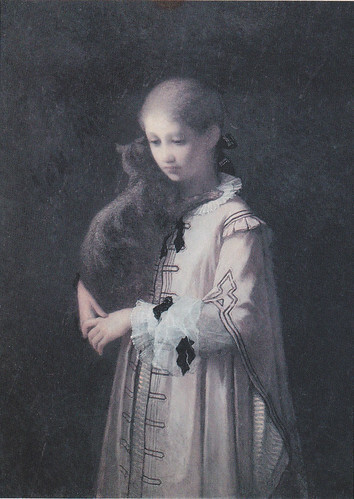 My mum found this painting a while ago, depicting another cat with the same interests. I got to see him when I was back in London in the past few weeks, said goodbye, and he died a few hours after I left. Bye Fig. saddest news. what an ace little cat. so great to have those images. lovely painting too. what a sweet cat. I'm sorry you lost your kitty. Absolutely beautiful photos, what brilliant photos to have.